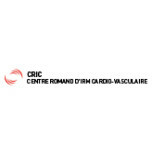 The CRIC-Centre Romand d’IRM Cardio-vasculaire, situated at Biopôle in the welcoming surroundings of the Terrasse building, offers complete and effective radiology services to the inhabitants of Lausanne. Its premises are home to the CRIC, a unique private centre of its kind in Switzerland with an MRI equipped for and dedicated exclusively to cardiovascular imaging. The CILE and the CRIC are part of 3R – Réseau Radiologique Romand.